Need the perfect cocktail napkins for your bar cart? Come to the studio and customize your own! 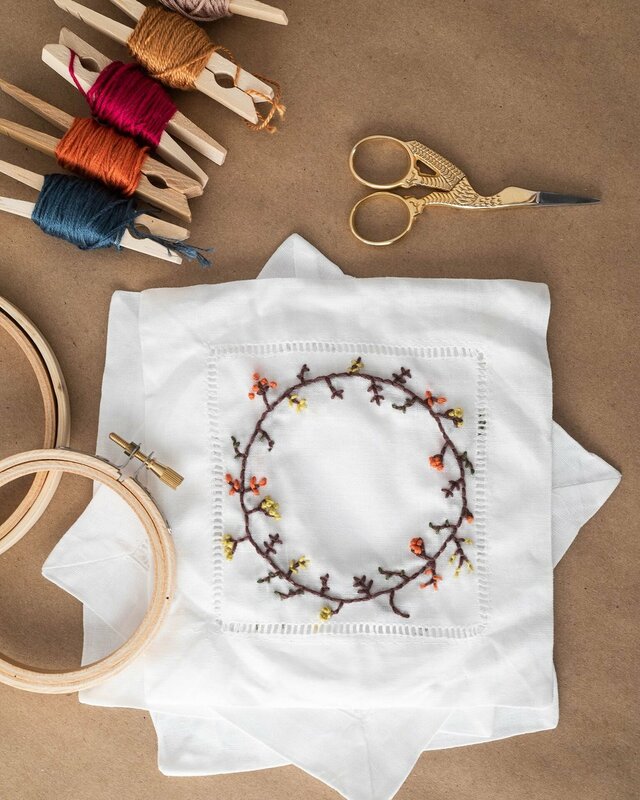 In this workshop you will learn the basics of embroidery, from the different tools needed to different types of stitches. Then you'll create your own design and embroider a couple of cocktail napkins to take home. Perfect for beginners! All materials included. Feel free to BYOB! Please enroll by 11/5 to ensure your spot in the workshop!